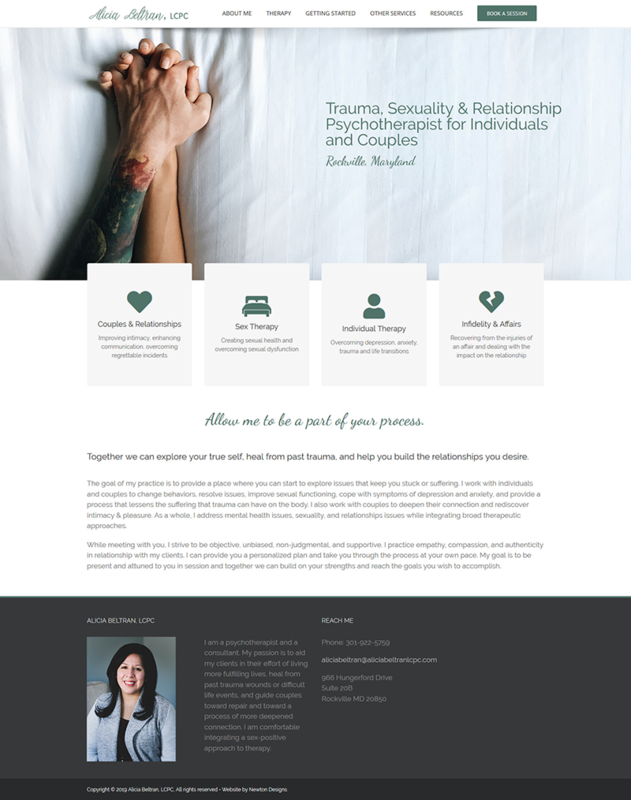 Alicia Beltran is a Trauma, Sexuality, and Relationship Psychotherapist for individuals and couples in Rockville, Maryland. 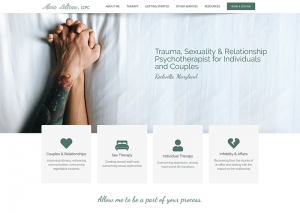 Check out this new WordPress-based site built for a therapist in Rockville, Maryland. Features include the user-friendly WordPress admin panel which the client can access to make simple content edits if they wish. Read more wonderful reviews from clients.